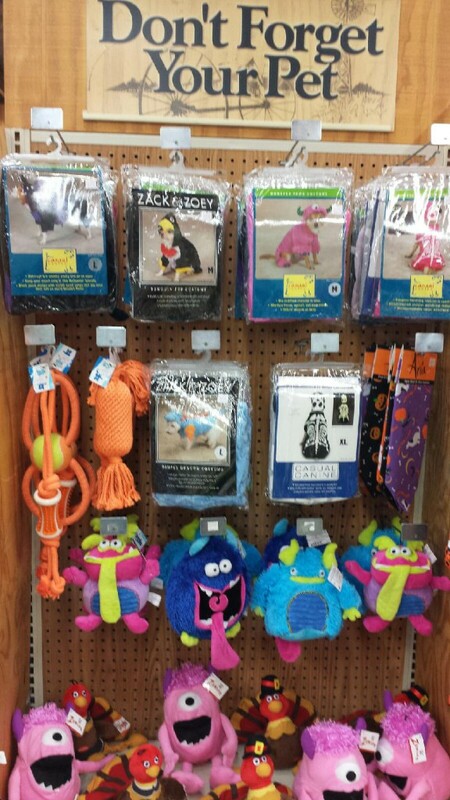 Are you and your pet prepared for Halloween this year? If not, we have the perfect pet costume available in our store! Show off your pet and creativity this year and bring them by in their costume so we can share their picture on our Facebook page. We have costumes in stock now, so hurry in for the best selection! We also carry the best pet food brands around at great prices like Exclusive, Red Flannel, Blue Buffalo, Science Diet, Nutro, Diamond Naturals, Taste of the Wild, Merrick and Under the Sun . Feed your pet like family with high quality brands like We can’t wait to see your furry friend. This entry was posted on Saturday, September 24th, 2016 at 1:45 pm	and is filed under News & Updates. You can follow any responses to this entry through the RSS 2.0 feed. Both comments and pings are currently closed.